Reflect on your Jamaican adventures with this One Love Jamaica T-shirt charm. 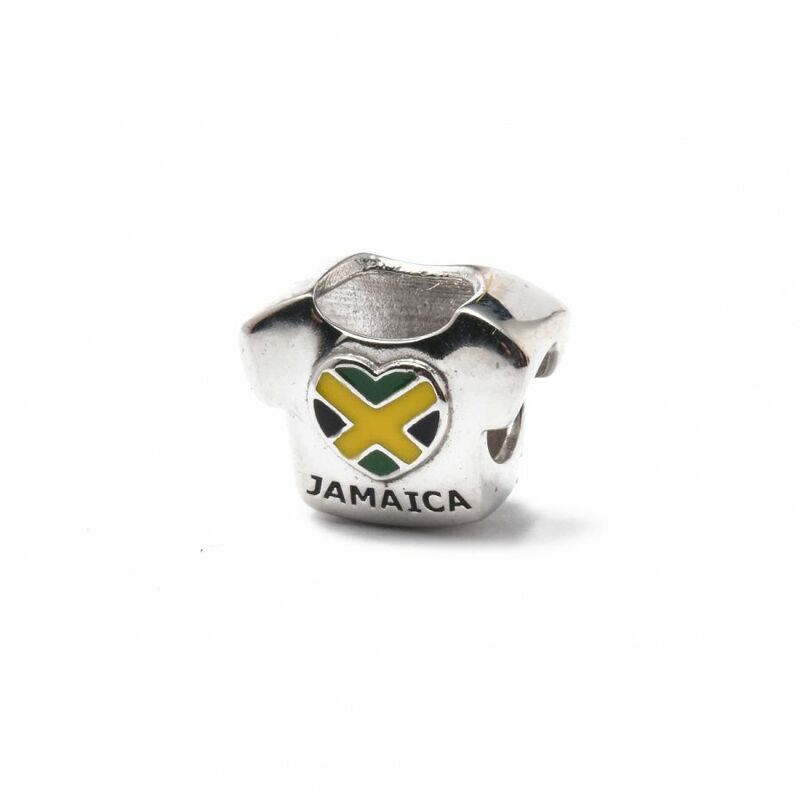 The high quality sterling silver charm features a Jamaican heart flag on the front and the words "One Love" on the back. This is one of Jamaica’s popular taglines, thanks to the world renown Bob Marley and his famous song One Love. All charms are approximately 10mm in size with a 5mm diameter hole.